An adult-only sleepover at the Museum of Natural History? Yes please! Adults need sleepovers too. 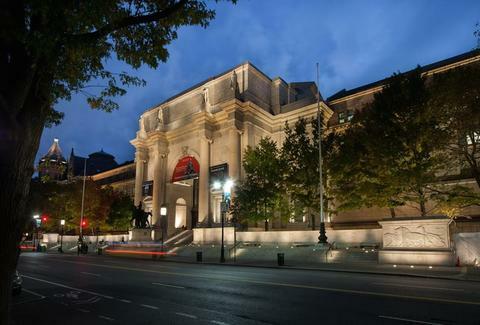 Luckily, New York's American Museum of Natural History is making it happen on December 13th, with an all-night event complete with a Champagne reception and live jazz. So here's your chance to help Teddy Roosevelt and Sacagawea save the Museum of Natural History and impress your son! Oh wait, that was fantasy adventure-comedy Night at the Museum... well, at least they'll still let you roam the deserted museum halls with flashlights all night long. The first 21+ sleepover at AMNH happened in August -- it was a huge success and people kept the shenanigans/hanky-panky to a minimum, so they're having another one in December, plus more to come in 2015. Tickets go on sale November 12th, and cost $350 per person ($300 for museum members), which includes a buffet-style dinner, access to special exhibits, and live-animal presentations. Emily Kolars is an Editorial Assistant at Thrillist and if this sleepover is anything like the movie, she's not going to miss it. Follow her on Twitter.